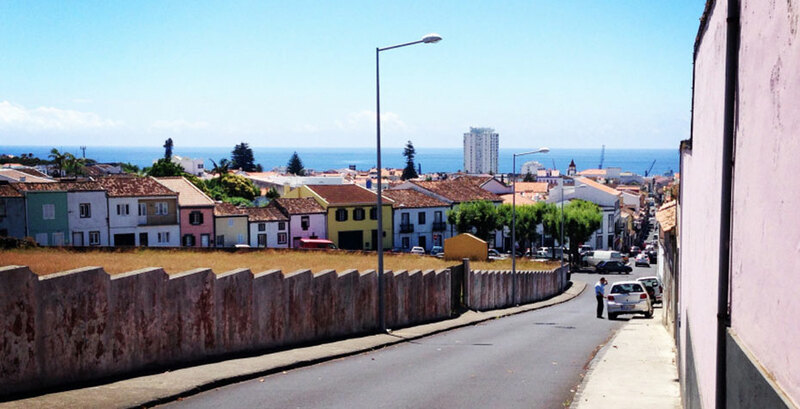 This summer Wellesley student Rachel Thommen ’17, whose interests lie in medicine and languages, embarked on a cross-cultural exchange program shadowing doctors on São Miguel Island in the Azores, an autonomous region of Portugal. Rachel was a student in the inaugural Portuguese classes offered at Wellesley, completing a full year of intensive Portuguese with Mellon Foundation Lecturer Antonio Igrejas. It was Igrejas who brought the Atlantis Project internship program to her attention, and who wrote a letter of recommendation when she applied. Her five-week summer program has three distinct elements: hospital, teaching, and travel. Thommen spends Monday through Friday shadowing medical professionals ranging from pediatric physicians to orthopedic surgeons. In addition to the medical experience she gains, she also gives back to the hospital, teaching English classes to medical professionals in the afternoon. She teaches a range of classes from introductory, which requires many explanations in Portuguese, to advanced, in which the entire class is conducted in English. Her goal for the experience was to further her Portuguese and learn as much as she could about the European health system. She says her experience has given her unique insight into medicine from the point of the view of the provider and administrators. She has chronicled the experience in her blog, Medinternazores.